Our team of qualified technicians perform installations, services, repairs and preventative maintenance to any refrigeration system, large or small. Our highly experienced technicians deliver exceptional, high quality workmanship on time and on budget. Our workmanship is 100% guaranteed. We pride ourselves in our installation quality and our attention to detail. Our installation service includes detailed evaluation of your specific requirements. We analyse your existing equipment together with your current and future business plans. We determine the equipment specifications and configurations that will best suit your business and your budget. We then help you to maintain your new investment for the longest possible life time. Whether or not you’ve purchased your commercial refrigeration catering equipment from us, we can still service, maintain and repair your commercial refrigeration equipment. Whatever commercial enterprise you have, be it a pub, club, hotel, restaurant or supermarket, Chill Factor can give your business vital support when it is needed most. 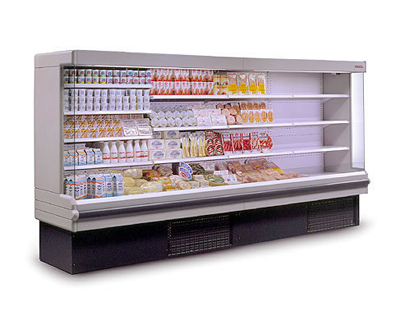 Keeping valuable stock at the right temperature is such an important role in your business – from ice creams to meats and fresh produce, commercial refrigeration is a necessity. Doesn’t it make sense to use a local, trusted and experienced professional? Having your refrigeration plant serviced by us at regular intervals will ensure that you have fewer inconvenient breakdowns. We can tailor a preventative maintenance package to suit your needs and budget. Breakdowns decrease your productivity and typically cost more than the preventative repair. If you would like a quote on starting a preventative maintenance contract please contact us today. At Chill Factor we understand the importance of being able to respond to your refrigeration system as soon as it breaks down. 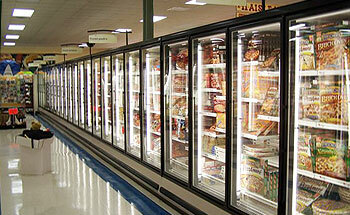 Losing expensive stock or further damaging the refrigeration system can both be very costly. This is why we at Chill Factor give you peace of mind: we are on hand 24 hours a day, 7 days a week for all emergency breakdowns. If your refrigeration system is malfunctioning or a non-essential component has broken, our call out service is available between 7.30am and 5pm. However, should you be one of our VIP customers you will always have priority. Call us today to find out how to become a VIP.